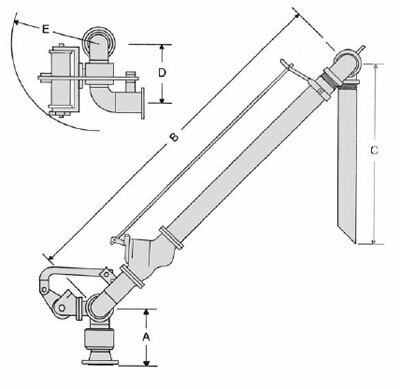 * Custom dimensions and configurations can be manufactured per project demands. 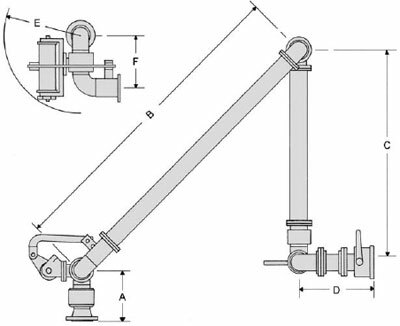 Size "A" "B" "C" "D" "E" "F"
Size "A" "B" "C" "D" "E"
The Model 762-F Top Loading Boom Assembly is a supported long range loading assembly designed for use in large transport loading where reach is a critical element. 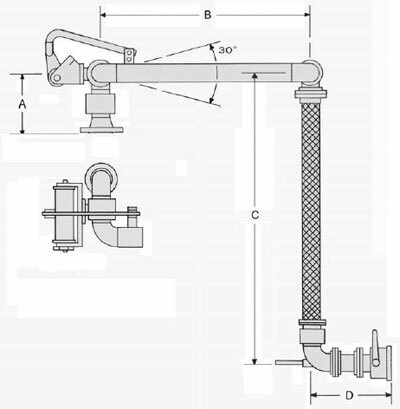 This top loader configuration is a heavy duty, heavy use, and high flow unit. 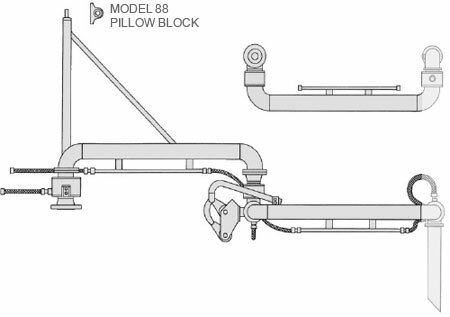 A pillow block and cap assembly ties in the supported boom assembly to a fixed mounting rack point. 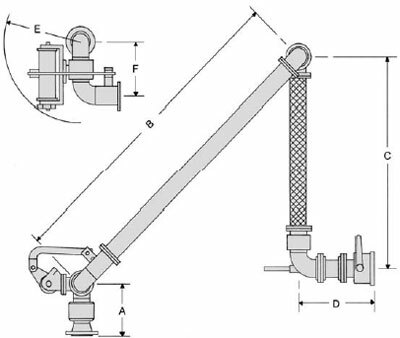 All connections are flange and thread, but can be altered according to desired specifications. Packing seal material is standard Buna-N with available Viton, Teflon®, Nitrile, Kalrez®, and Chemrez®. 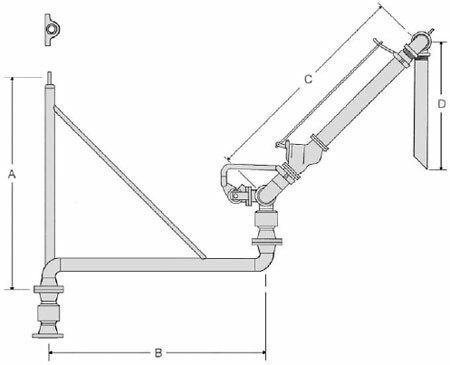 Size "A" "B" "C" "D"
Assembly can replace the 762-F, allowing for similar boom coverage. 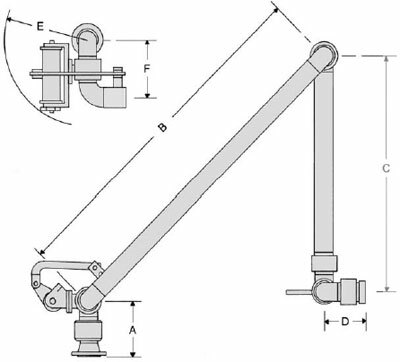 The Model 774-FSJ can be constructed as both a supported and unsupported unit, defined by load and dimensional characteristics. 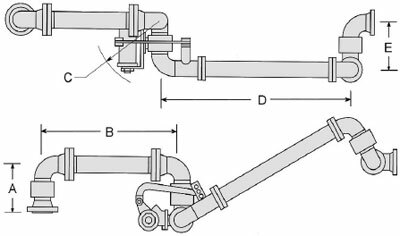 Stainless steel braided jumper hoses insure that steam circulation is progressive throughout the assembly, while a combination of rigid and flexible return lines provide passable movement of the steam charge. 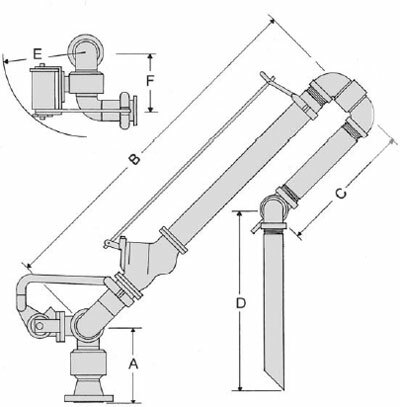 Available in either carbon steel or stainless steel material. 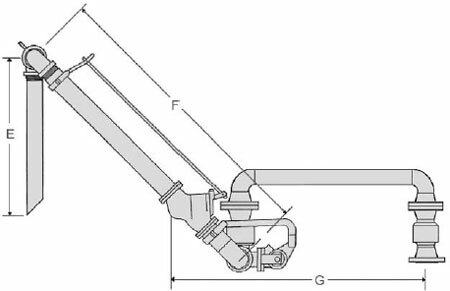 Per customer requirements and budget restrictions, the material of construction can vary, provided connection points remain compatible.